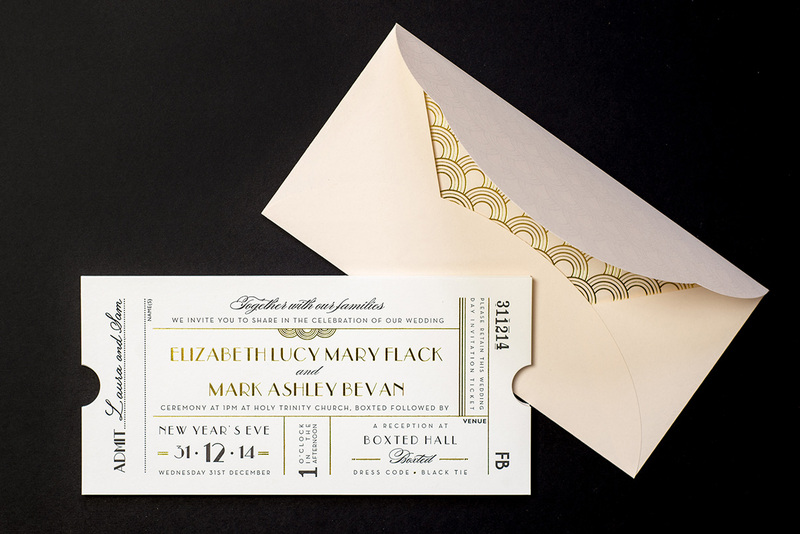 With their wedding taking place on New Year’s Eve, Elizabeth and Mark’s invitation needed to be extra special. 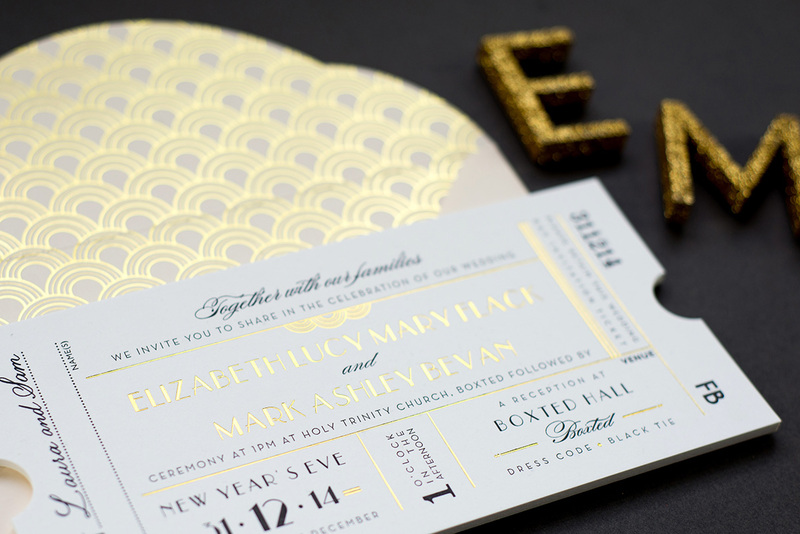 With their Art Deco theme, Elizabeth wanted the invitation to be based on a ticket design with a Gatsby feel, using the finest print methods. 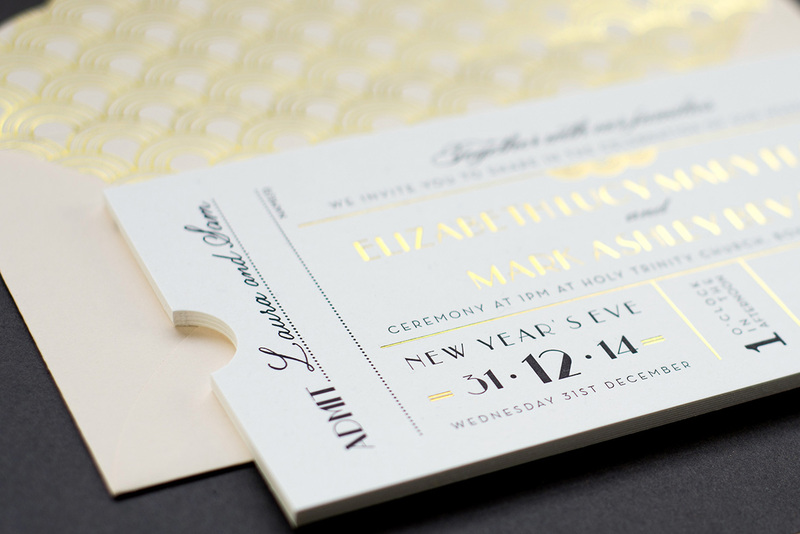 Each invitation was letterpress printed in black and then foil blocked in metallic gold. 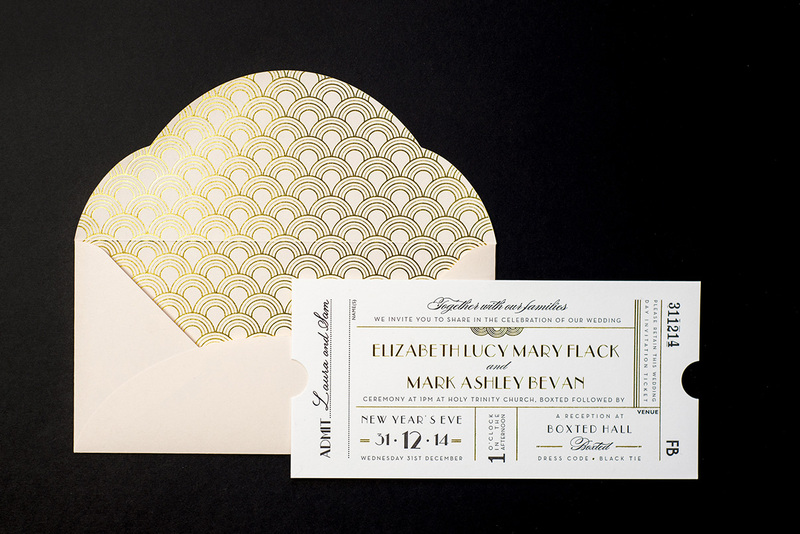 What sets these invitations apart are the opulent, custom designed envelopes. Printed on blush, a pattern was printed in gold foil before being die cut into a custom, scalloped shaped envelope to be individually, assembled by hand.